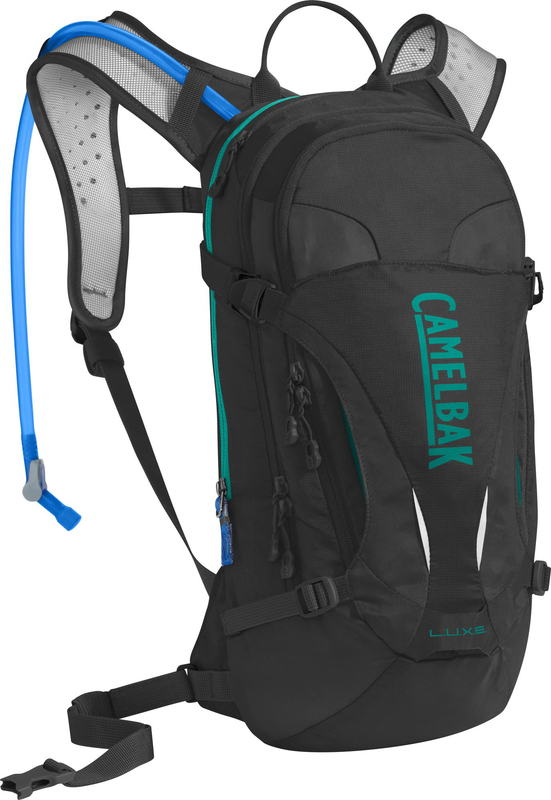 Camelbak redesigned their Women's L.U.X.E. pack, giving riders enough gear for a full day of mountain biking, with a narrow-profile design that stays in place, letting you focus on the trail. The 3-liter reservoir holds enough water for rides that last all day, and the pack offers extra storage for anything that might come your way: keys, helmet, a layer, lunch and bike tools. The updated design gives you 20% more water per sip, and the ventilated back panels keep air moving over your back. Plus, you get a removable waist belt that keeps everything in place during bumpy rides. The women’s-specific design features specially contoured shoulder straps that fit comfortably on your chest without chafing, and the shorter pack length offers more agility, and a better ergonomic fit.